Here is our list of best fun things to do in Montego Bay, Jamaica. Montego Bay is bursting with the sounds, culture, history and lively vibe of Jamaica. Reggae lovers will delight in visiting Bob Marley's home town, food lovers must taste the local Jerk Food. Explore the magnificent Blue Mountains on a bike, climb a waterfall and swim in a Luminous Lagoon. Water sports enthusiasts can snorkel, scuba dive, kayak and parasail. Those who want to relax can soak up the sun on some of the world's most glorious beaches. When your day ends, watch the magnificent sunset from the Famous Rick's Cafe. Read about all the amazing tours in Montego bay and its fun activities! 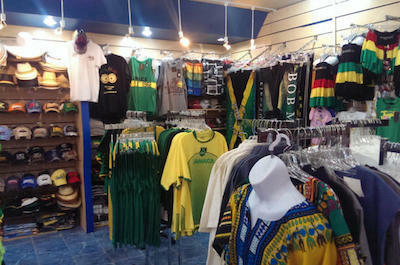 Bob Marley fans will be thrilled with the number of things to do in Montego Bay that relate to his life and heritage. Take a tour to Nine Mile, the small village in the magnificent mountains of Jamaica where he was born, lived and was laid to rest. Stroll through his house and see his hammock and herb garden. Learn about his following of the Rastafarian religion and stand on the spot where he meditated, called the Mt Zion Rock. 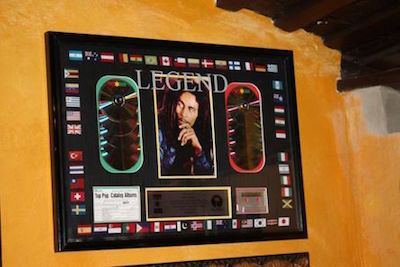 The house is now a museum and photo gallery and your knowledgeable guide will reveal behind-the-scenes information about this iconic musician who brought Reggae to the world. Azure blue water, stunning scenery and sunny days makes cruising and sailing the perfect thing to in Montego Bay. 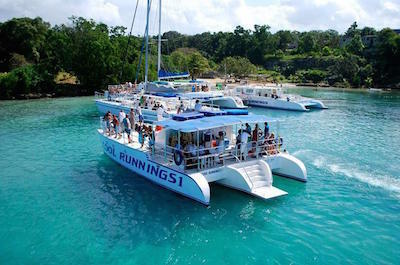 Enjoy a luxury party catamaran cruise with refreshments and reggae music, stop to do some snorkeling and then watch the sunset from the famous Rick's Cafe. Take a yacht and enjoy scuba diving in a stunning coral reef. Book an amazing night cruise to the Luminous Lagoon and experience this phenomena of nature as the waters illuminate when you step in! Dolphin lovers must take the cruise to Dolphin Cove and nature lovers will be thrilled with the cruise down the Black River to the YS Falls. Enjoy the rough and tough? 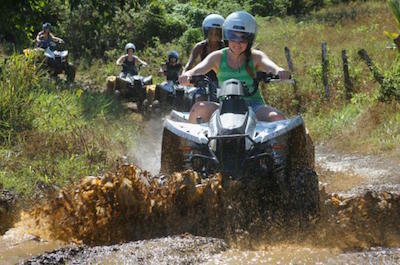 4WD, ATV and Jeep adventures offer great things to do in Montego Bay. Take a tour in an open Jeep to explore the natural beauty of the countryside. See the rocky terrain, the lush tropical forests and the magnificent waterfalls. Your guide will keep you entertained with fascinating stories and anecdotes of local life. For something different, learn how to drive an ATV! After a safety briefing you will gear up and set off. Explore the citrus plantations, admire the tropical fauna and flora, bounce along the sandy trails. The trip also includes historical sights like the old Presbyterian Church and ends with a well-earned drink and snack. 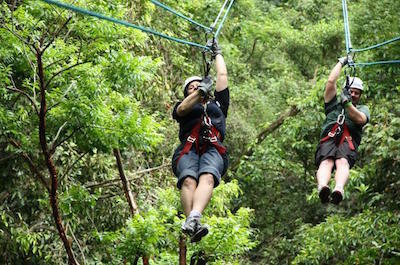 If you have never experienced ziplining, this is the next thing to do in Montego Bay. The Canopy Tour allows you to soar high above the forests, jumping from platform to platform as you see breathtaking scenery from 45 feet above the ground. Certified guides ensure your safety and equipment is provided. Ride the Big Timba, the longest zipline in the Caribbean. It is 1600 feet long and crosses stunning tropical scenery, the Great River and the Jamaican Hills. This tour is ideal for families. If you want to test your endurance skills, take a tour that offers both ziplining and kayaking! The rivers of Jamaica make tubing an exciting thing to do in Montego Bay. Start with a relaxed tour to the hills of Lethe. The waters are calm and serene and your guide will make sure you are safe and keep you entertained with thrilling stories of the Island. Drift along and take in the stunning scenery of lush vegetation and rolling hills. Then get more ambitious and head for the Rio Bueno. The river offers cascades with adrenaline pumping twists and turns. Stop for lunch to recuperate and then set off for the river delta where you will paddle over the waves to reach the lovely beach of Bengal Bay. 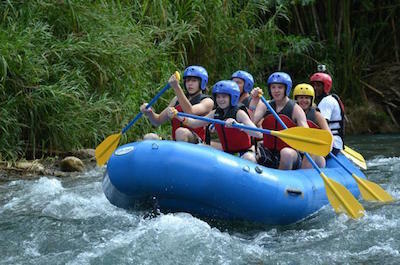 Don't stop at tubing, river rafting is the next thing to do in Montego Bay. Ideal for the whole family, this fabulous tour will take you down the Rio Bueno, through Class 2 rapids, following your knowledgeable guide. The trip starts with a safety briefing and all equipment is provided. Stop for lunch to catch your breath and relax or have a swim in the cool waters. Then continue towards the sea where you disembark at Bengal Bay. Free hotel pick up and drop off is included and your expert guide will give you personalised attention and keep you entertained with fun local stories. 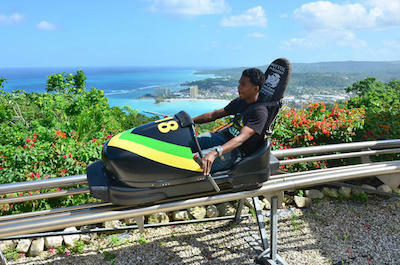 Bobsledding without snow is the iconic thing to do in Montego Bay. Made famous by the movie Cool Runnings, this sport is now a major attraction in Jamaica. The tour takes place in the beautiful eco-park in Ocho Rios, filled with exotic flora and fauna, springs, rivers, lush jungle vegetation and a myriad of birds. The track winds its way through this natural landscape and was built to blend in with as little impact as possible on the wildlife. Have a lesson, climb in, buckle up and speed off. You can go as fast as you dare or use the handbrake to slow you down. This fabulous adventure includes hotel pick up and drop off. The calm, azure blue waters filled with colourful marine life offers the next fabulous thing to in Montego Bay. Set off to the beach for a snorkling cruise. The sport is ideal for all ages and levels of fitness, you simply float on the water and peer down into the depths to see the amazing fish, sponges, corals, stingrays and more. Luxury catamarans and yachts provide the transportation to the reefs and the crew are available to keep you entertained. For bigger groups, join a snorkling and party tour which offers music, snacks and refreshments on board as well as the opportunity to jump overboard and snorkel. 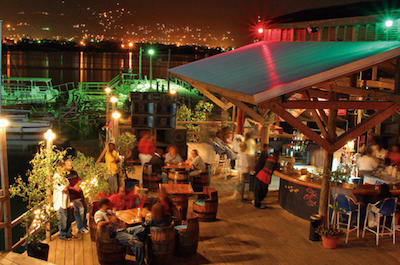 Jamaica rocks with Reggae music and dancing and visiting the hot night spots is a fun thing to do in Montego Bay. Join a tour to the legendary Margaritaville and party all night. You will skip the long queues waiting outside! Enjoy an all-you-can-drink bar and dance the night away at this iconic open-air club overlooking the Caribbean Sea. Take a private tour, where you will be shown all the vibrant clubbing spots on Hip Strip. Your guide will take you to Rum Jungle and Pier 1. Visit Chillin, with an ice bar and artificial snow. Enjoy the music at the Blue Beat Jazz venue and the Blues Martini Bar. You can stop at as many clubs as you want! 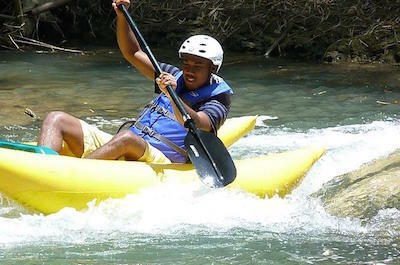 A kayaking or canoe trip on the river is one of the most exciting things to do in Montego Bay. Enjoy a tour that combines kayaking and ziplining! After a safety briefing you will follow your guide down the Great River as he points out interesting aspects of the wildlife. Then stop and sail over the tree tops on a zipline, climb back into the kayak and return. This fabulous adventure will be caught on camera for you. For the extra adventurous, paddle down the cascades of the Rio Bueno with a partner in a two-man kayak and brave the medium-intensity rapids. Stop for a bite to eat, climb back in and head down the river to the seashore where you can swim and relax. Visiting a magnificent cascading waterfall is an exciting thing to do in Montego Bay. The YS Falls are located about 50 miles south west and make for a perfect day trip. When you arrive at the YS Estate, you will be taken on a fun Jitney tractor ride to the falls. This nature-lovers dream will have you mesmerised as white water crashes down a series of towering rocky slopes into the pools below. Stroll along the walkways, climb or swim. You can combine the YS Falls with a tour of the Black River, where you will see the most beautiful scenery, abundant wildlife and local fisherman fetching the days catch on their traditional dugout canoes. 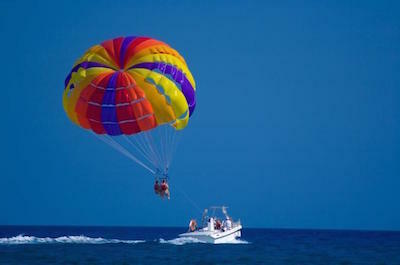 If you have a head for heights and want to show off your bravery, parasailing is the thing to do in Montego Bay. Get to view some of the most beautiful coastline scenery in the world from high up in the sky. Your guide will give you a briefing and gear you up. Get settled into the seat underneath the massive colorful sail and let the speedboat pull you out. As you soar into the sky, relax and enjoy this exhilarating experience. You will have a bird's eye-view of the coral reefs, beaches and luxury resorts as you fly along the shoreline. Take your camera along for some fabulous pictures or a video. 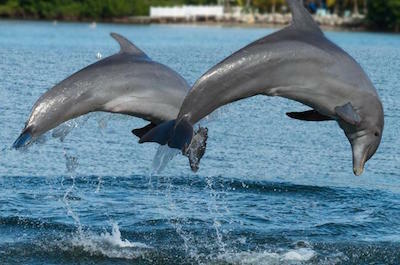 Swimming with dolphins is a dream that many people have and you can make it happen in Jamaica, this is a fabulous thing to do in Montego Bay. Book for the Combo Tour which will have you swimming with the dolphins and enjoying a sunset cruise to wrap up your fabulous day. At Dolphins Cove Sandy Bay you can swim, play, feed and interact with these amazing mammals. There are a few different programs to choose from. Watch an educational presentation, swim in shallow or deep water, select a private swim with a guide and two dolphins and explore their homes, the choice is yours. After your adventure, relax with a Rum and watch the sun set over the ocean. 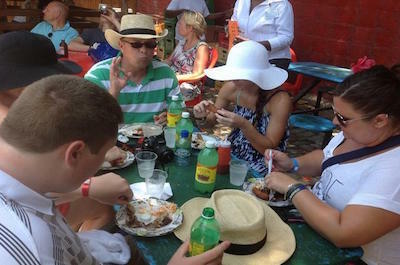 Food lovers will be thrilled to know that a food tour is something to do in Montego Bay. Jamaica offers a vibrant array of traditional delicacies and you can sample them all. Enjoy a two and half hour walking tour where your guide will lead you to local eateries to discover the local cuisine. Learn how the massive sugar plantations influenced the type of food and watch how dishes were prepared in the slave quarters and in the imposing luxury estates. Then take a private tour and explore the 'jerk stands'. Taste the pork, goat or chicken on offer. 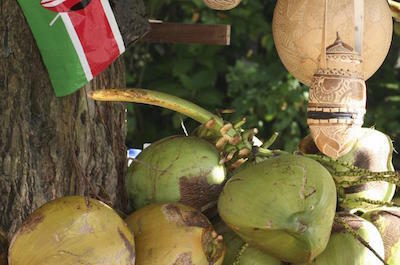 Enjoy freshly caught fish and some of the exotic fruits that grow on the Island. Finish off with a traditional patty, coco bread and a glass of Rum for a mouth-watering meal. Discover tranquillity and total peace as you raft down the stunning Martha Brae River on a traditional bamboo raft. This is the next amazing thing to do in Montego Bay. 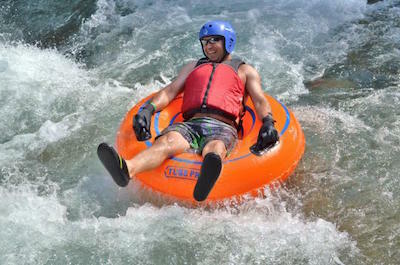 Head off to Falmouth where you will find many experienced river rafting captains. The rafts are hand made and are 30 feet long. Don your safety gear and climb aboard. These flat, ancient designed rafts will carry you on a three mile trip down the calm river. Admire the tropical scenery and wildlife as you float past. Most trips include refreshments, a swim in the lagoon and your guide will gladly stop at the quaint craft stores on the river banks so you can bargain for a souvenir. Exploring this lovely venue is the next thing to do in Montego Bay. Its deep harbour is thought to be the site where Columbus first landed in Jamaica. The small village is the perfect spot for adventures on the Rio Bueno River. 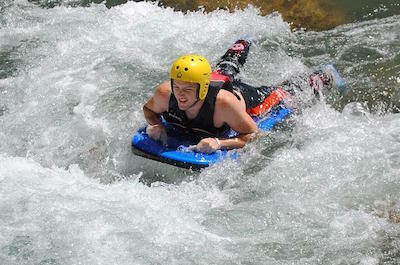 River rafting, kayaking, river boarding and tubing are fabulous activities that are offered here. Rushing rapids and beautiful scenery along the banks make for an exhilarating day of fun. Follow your guide and then stop for a cooling swim and some refreshments as you Rio Bueno Fort and soak up the history. Seeing a lagoon light up as if by magic is a mind-blowing thing to do in Montego Bay. The famous Luminous Lagoon actually glows with a turquoise hue! This amazing phenomena occurs in only three places on the planet and is caused by millions of tiny micro-organisms known as dinoflagellates. See the animal life that flocks to the lake for its unique combination of freshwater and salt. Swim and take a boat ride to experience the best of the water. It is warm and shallow and ideal for a family trip. For larger groups, a party cruise is a fun way to experience the lake and for romantics, the private night cruise is an unforgettable experience. After eating your fill of traditional food, a visit to a natural wonder is the next thing to do in Montego Bay. This magnificent pool is located near Ocho Rios and offers a deep cavern set amongst the towering mountains. The water is perfectly clear and turquoise blue and waterfalls pour down the rocky slopes. 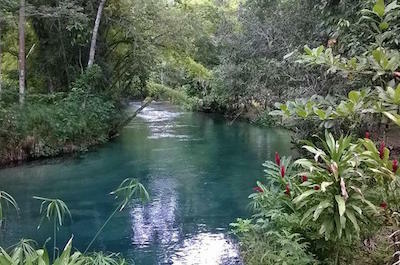 Massive green tropical vines hang down making this an exotic location for swimming or walking. The brave can try some cliff jumping and the rest can watch! For something special, take a private tour with a guide and learn more about this beautiful place as you relax and soak up the ambiance. After your water adventures, heading inland is a different thing to do in Montego Bay. A well thought out tour takes you to the working Croydon Plantation. Travel through the spectacular Catadupa Mountains in comfort with a local guide. 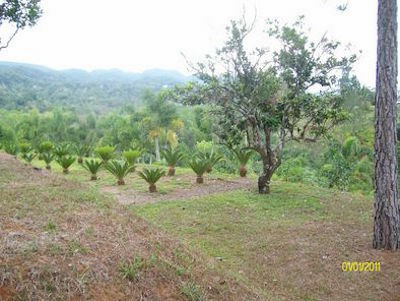 When you arrive you will explore this tropical plantation. See the beautiful manicured grounds and learn about the history and the relevance it has in modern day Jamaica. Find out how coffee, sugar cane and honey are cultivated and processed. Enjoy a scrumptious traditional buffet while your guide entertains you with interesting anecdotes about local life. Historians will find many fascinating things to do in Montego Bay and a visit to Good Hope Estate is a must. This imposing plantation overlooking the rolling mountains was once the largest in Jamaica boasting a church, sugar factory and a hospital. Many of buildings remain in good condition. You can visit for the day or choose to stay overnight in the three bedroomed villa or the cottage which offers a swimming pool. Ride in a horse-drawn carriage and explore the 18th century buildings. See the exotic array of birds in the 9000 square foot aviary. For adrenaline seekers, ziplining, river tubing and ATV rides are available and the youngsters can enjoy the challenge course. Climb, swim, walk and suntan. 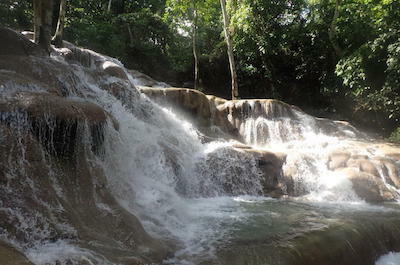 These are the many things to do in Montego Bay when you visit the stunning Dunn's River Falls. This spectacular waterfall is over 1000 feet high and cascades downwards over a series of rocky terraces into a massive pool below. The Falls featured in movies like Dr No and Cocktail and are instantly recognizable! This tour in Montego Bay is ideal for the whole family and you can climb to the top alone or with a guide forming a human-chain. Swim in the pools and learn about the interesting geology of the rock formations. 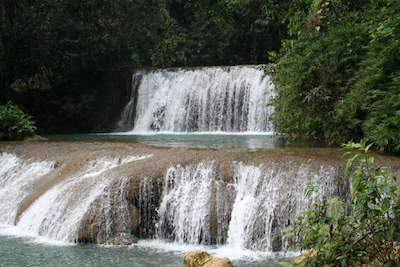 The Falls are located near to Ocho Rios, where there are great restaurants to end off your adventure. 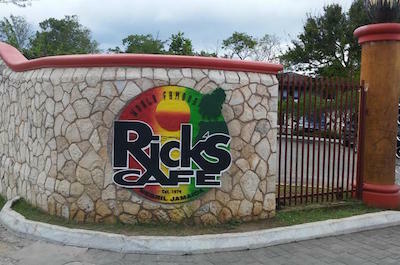 Ending your day at Rick's Cafe in Negril is the thing to do in Montego Bay! This iconic spot is known for its magnificent sunset views, friendly vibe and is the place to relax, eat, drink, meet friends and chat. The venue opened in 1974 and was the first restaurant and public bar on the West End Cliffs. Located on the sheer, rocky cliffs, 10m above the water, you can watch the professional divers plunge from the platforms into the water clear below! Enjoy a traditional meal and sip an exotic cocktail. Taking pictures of the red, orange and gold sunset is a must. Historical tours are a fantastic thing to do in Montego Bay when you as well as your family want to learn about the culture and history of Jamaica. You have a wide variety of excursions to choose from that highlight plantation architecture and lifestyles of when sugar was king of the island as well as visit several monuments to well-known people of Jamaica such Bob Marley and Peter Tosh. You can visit Sam Sharp Square, Rose Hall and Camp Millbrooks Cave where the maroons utilized to hide during the Maroon War. Other historical tours will take you into rural communities where you can interact with the locals while you indulge in local food and drink. Whether you want to learn about Jamaica, Negril, Ocho Rios or Montego Bay booking a historical tour is the best way for you to understand this complex nation. When you are looking for things to do in Montego Bay, then you should consider a cultural tour of Jamaica. 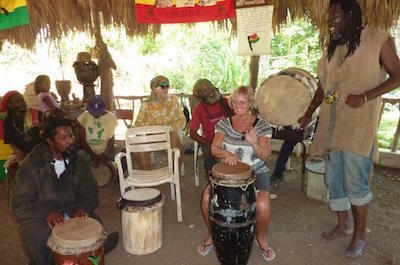 These excursions are fabulous for learning about the Jamaican people and what makes their culture as well as history so special. You will be amazed at the diversity of tours that range from visiting Appleton Rum to Sandy Bay Ranch to a Rastafari indigenous village where you can listen to music, meet local artists and share some great jerk-style food. Other opportunities include visiting sugar plantations like the Good Hope Estate, a trip to the casual city of Negril and you can visit Ocho Rios where many blockbuster movies have been filmed. No matter if your interests in life are geared toward art, music, history or just talking to locals, you will find a cultural tour that will make you smile. When you don’t want to go out and party or you are visiting Jamaica with the family, then you should really try a Night and Haunted tour. A Night and Haunted Tour is an interesting as well as frightening thing to do in Montego Bay because many of the excursions combine a ghostly candlelight tour of the Rose Hall Great House and a boat ride on the Luminous Lagoon. The Rose Hall Great House is a fascinating story and as you walk the hallways of the house you will be surprised at the haunting thoughts that enter your mind. You can even stop and have a Red Stripe at Annie’s Pub which was originally the dungeon. 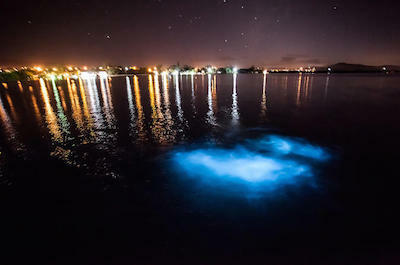 You will be thoroughly pleased at the Luminous Lagoon where the water lights up into a multitude of glowing colors as the boat’s wake stirs up the different organisms in the water. Plantation Tours are a fantastic thing to do in Montego Bay that allows you to understand the many facets of Jamaica’s early sugar economy. Plantation tours combine architecture, culture, history and nature into a fascinating day of interesting fun. 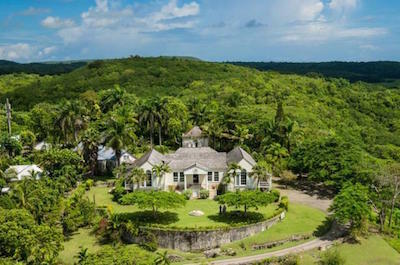 Some of the plantations you might visit are the Appleton Rum Estate, the Good Hope Estate and even the Rose Hall Great House as well as the working Croydon plantation. Plantations tours are sure to please the family with many incredible learning opportunities of the culture as well as history of Jamaica and you might even get to sample a little Jamaican food or drink a little rum. One of the best things to do in Montego Bay to learn about the exciting history and culture of Jamaica is to go on a Montego Bay City Tour. You will enjoy learning the intricate history between Jamaica and the United Kingdom as you visit monuments of Bob Marley and stellar 18th century architecture. You can choose to go on a candlelight tour of the famous Rose Hall Great House where ghosts roam the hallways in the night or you can choose to visit an authentic Rasta community in the mountains. Other exciting options include visiting the Swamp Safari Village where you can view the set used for a James Bond movie. Whether you want to view the sites from the water on a mini-boat or travel in a comfortable coach there is a perfect Montego Bay City Tour for you. If you like to visit bars as well as enjoy drinking a little rum now and then, you will be happy to find out that these activities are one of the more popular things to do in Montego Bay. You have a wide variety of selections from visiting the Appleton Rum Estate where you can view a working rum making plantation or you can decide to take a boat ride and the Pelican Bar which sits on a pier that overlooks the Caribbean Sea. For more adventurous party goers you should try going to Hip Strip where you can bask in the sun at Margaritaville or dance all night at Pier One Nightclub. Whether you want a quiet time sipping rum or an all-night adventure, you will find the perfect Bars and Rum Tours for you while visiting Jamaica. Horseback Riding tours are a great way for singles to meet new people, couples to enjoy a tranquil day in nature and for families to have an adventurous day. Horseback riding tours are also on the more tranquil things to do in Montego Bay as you will enjoy the lush tropical landscape of Jamaica aboard a highly trained horse that will make for a fun-filled day. 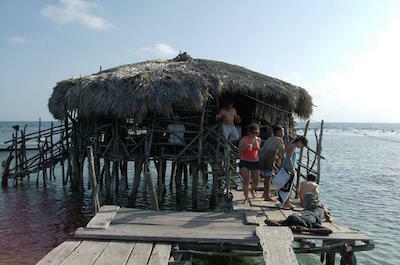 You can in touch with nature and learn about the island’s eco-system as well as the history of this incredible island. 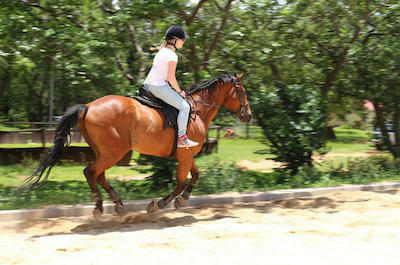 No matter if you are a beginner or an experienced rider there is a horseback riding tour that fits everyone. Nature Tours in Jamaica are fascinating and one of the more popular things to do in Montego Bay for singles, couples and families. 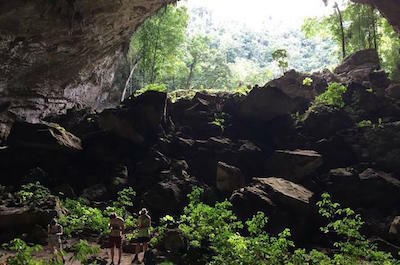 You will be thrilled with the fine selection of nature tours in Jamaica that range from a trek up the amazing Dunn’s River Falls to an evening cruise on the Luminous Lagoon to a spectacular bike ride in the Blue Mountains. Other exciting nature tours you can take while visiting Jamaica is a trip to the clear waters at Blue Hole or you can relax in the Washing Machine at Mayfield Falls. Bird and nature lovers will enjoy the Rockland Bird Sanctuary as well as the incredible artwork in the jungle at Ahhh Ras Natango Gallery and Garden. Whether you want to relax or jump off the cliffs after taking an invigorating hike, nature tours in Jamaica are great way to see the entire island and are among the most exciting things to do in Montego Bay. 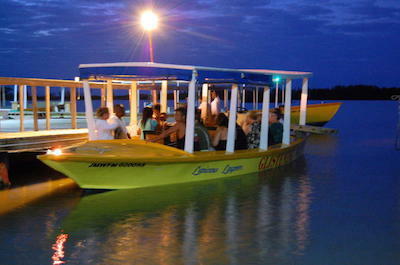 One of the best things to do in Montego Bay with your family is to go on the Black River Safari Tour from Montego Bay. Your 5-hour exploration begins with complimentary hotel pick-up service where you will then be driven for 2-hours through the lovely countryside of Jamaica. On your drive you will see an immense amount of wildlife, flowers and tropical forests as you gaze into the lush green landscape as you listen to your tour guide give a narrative on the eco-system of Jamaica. 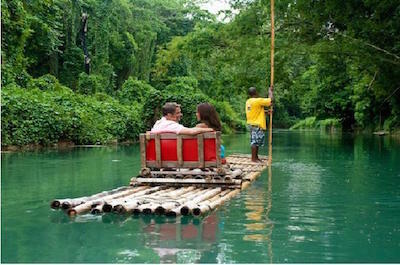 Once at the Black River you will board a boat and travel for 1-hour on the longest navigable river on Jamaica. Your guide will explain the importance of the Black River in the development of Jamaica as your guide talks about how the British used the river to buy wood logs which in turn were used to make dye. 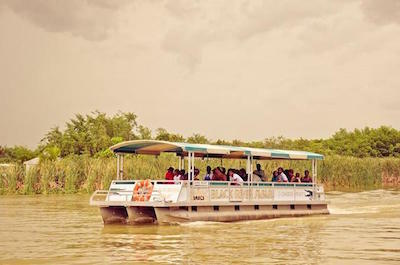 While on the Black River you will see crocodiles, over 100 species of birds, wetlands and even mangrove forests. Your Black River Safari Tour from Montego Bay concludes with drop-off service at your respective hotel. Biking tours are one of the most popular things to do in Montego Bay for singles, couples and families. You will be thoroughly pleased peddling through the lush tropical landscape of Jamaica as you view such spectacular natural sites as the Blue Mountains. Most biking tours include transportation to and from your biking location in the Blue Mountains which makes booking a biking tour in Montego Bay easy for everyone. When you take a biking tour you will have access to state-of-art-bicycles as well as all the safety equipment that is needed. 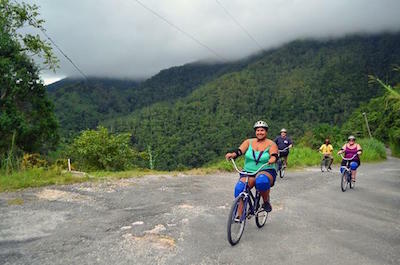 Most biking tours are an all-day event which includes lunch as you glide down paved roads through the beautiful Blue Mountains where you will view coffee plantations, diverse wildlife and you will enjoy the educational aspect of learning about the Jamaican eco-system. 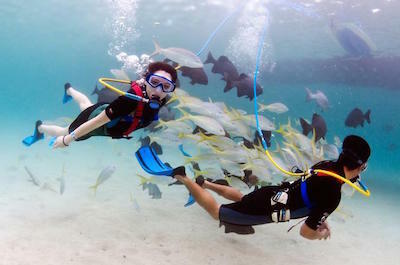 Scuba Diving tours are one of the most adventurous things to do in Montego Bay for people who like to explore the underwater world of the Caribbean Sea. Scuba Diving in Jamaica allows you to view the incredible coral reefs and colorful tropical fish that call the Caribbean Sea their home. 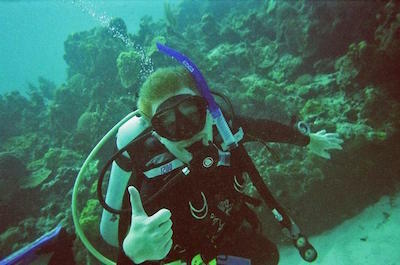 Scuba diving tours are available in a wide variety of choices from first time divers without certification to experience scuba divers who are looking for a thrilling two tank dive. If you are a beginner you can take an informative PADI dive tour which will allow you to scuba dive at your resort. Certified scuba divers will find a plethora of tours from 4-hours to 6-hours to an intriguing night dive. If you have ever wanted to experience the thrill of scuba diving and never had the time to become a certified scuba diver, then the SNUBA Dive Experience in Montego Bay is the perfect thing to do in Montego Bay. Your 3-hour underwater adventure has several departure times throughout the day and begins when you meet your qualified guide at a specific hotel in Montego Bay. Once you are at the Seawind Beach Club you will receive a short safety briefing on the SNUBA equipment and you will a board which will take you to an incredible spot on the Caribbean Sea. Once the boat is anchored, you will put on your gear which includes a mask, weight belt, fins and the SNUBA harness. Then you can jump into the warm waters of the Caribbean Sea and descend downward to depths of 20-feet where you will view the colorful coral reefs and stunning tropical fish. While you are in the water your SNUBA harness will supply you with all the oxygen needed so you can swim about freely. As your boat returns to the Seawind Beach Club you can decide if you wish to spend more time at the beach to enjoy the sun, swimming pool or a cold libation. The SNUBA Dive Experience in Montego Bay concludes when you travel back to your hotel at your own expense. 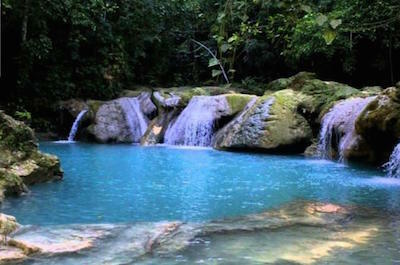 The Mayfield Falls is a fascinating thing to do in Montego Bay and is sure to please everyone who wants to frolic in the beautiful natural spring waters. Your 5-hour exploration begins with complimentary hotel pick-up service when you meet your expert guide and drive through gorgeous countryside of Jamaica. 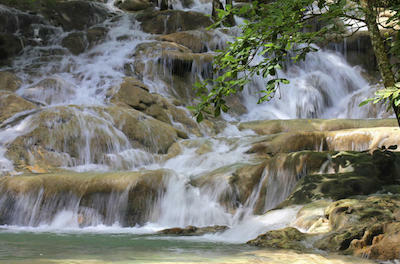 As you drive your guide will explain the Jamaican eco-system as well as some interesting facts about the Mayfield Falls. Once you reach a small Rasta village in the Hanover Parish you will follow your guide on an intermediate level river hike which follows the Mayfield River. You will travel over a natural staircase that has wooden handrails as your guide continues with a fascinating narrative of the flowers, trees and wildlife you will watch as you hike. When you are finished with the hike you will have 90-minutes to explore two waterfalls and the 21 natural pools that have been formed by the natural springs. You can cliff jump, cave dive, simply sit in one of the relaxing pools and you can take a shower at the famous Washing Machine. The Mayfield Falls Tour in Jamaica concludes with more stunning scenery as you are transported back to your selected hotel. One of the most popular things to do in Montego Bay is to go shopping and the Montego Bay Half-Day Shopping Tour will take you to all the trendy shops on Jamaica. Your 4-hour shopping extravaganza has two departure times throughout the day and begins with complimentary hotel pickup service where you will be driven to your first stop. You will spend 30-minutes at the Blue Diamond Shopping Center browsing souvenirs at a signature Rainbow store. Then you will continue your shopping travels to the Hip Strip where everything from art to rum to clothing can be found as well as watch the colorful people walking around on Hip Strip. From here you will be driven to Waves for more souvenirs like coffee or Jamaican rum and you can browse for your favorite fragrance or a pair of specialty sunglasses at Perfumo. Your last stop will be spending an hour at Magaritaville where you can have a cold libation or swim in Caribbean Sea or have lunch. The Montego Bay Half-Day Shopping Tour concludes when you are transported back to your hotel. If you are looking for an exciting thing to do in Montego Bay, then you should try a Day Trip to Doctor’s Cave Beach, Margaritaville and Hip Strip Shopping from Montego Bay and Grand Palladium. Your 4-hour adventure of fun begins with complimentary Montego Bay hotel pickup service where you will travel in a coach to your first stop which will be Doctor’s Cave Beach. 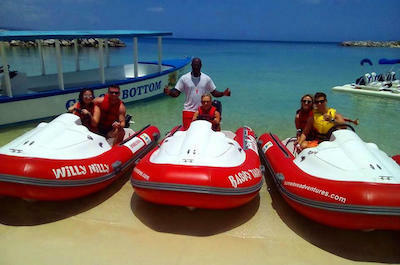 You will be thrilled with the activities at Doctor’s Cave Beach which is located in the Hip Strip area of Montego Bay. You will have 1.5-hours here to relax under the sun, visit the shops or grab a bite to eat at one of the many restaurants. From Doctor’s Cave Beach you will travel to Margaritaville which sits in the middle of Hip Strip. You will have 2-hours at Margaritaville to browse the gift shop, have a cold libation on the sundeck or you can use the water trampolines and the waterslide which will propel you into the Caribbean Sea, which is one of the most exciting things to do in Montego Bay. 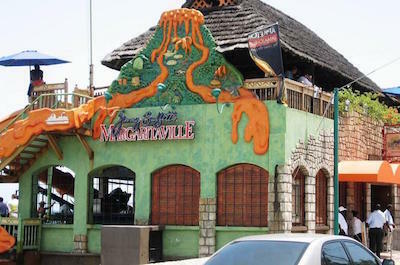 After Margaritaville you will have time to browse all the interesting shops and entertaining people along the Hip Strip. Your Day Trip to Doctor’s Cave Beach, Margaritaville and Hip Strip will conclude with drop-off service at your Montego Bay hotel.